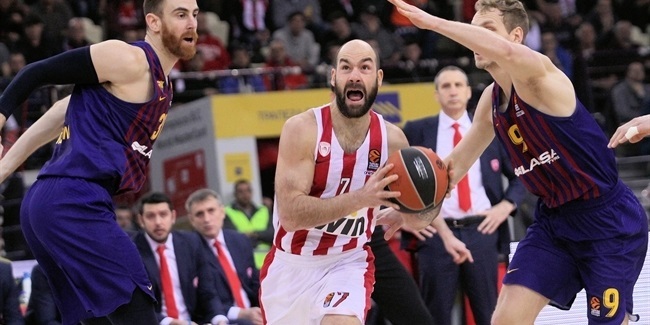 Vassilis Spanoulis played in his 300th Turkish Airlines EuroLeague game on Friday when Olympiacos Piraeus hosted CSKA Moscow, becoming just the fifth player to reach that milestone. The previous players to have achieved 300 games in the EuroLeague are Juan Carlos Navarro, Felipe Reyes, Paulius Jankunas and Nikos Zisis. 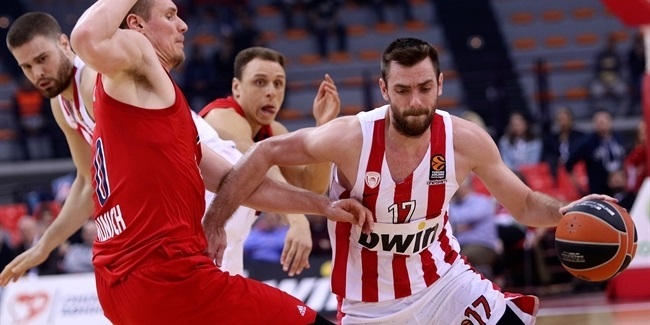 Spanoulis has become accustomed to such big numbers. He came into Friday's game as the EuroLeague's all-time leader in assists (1,395), free throws made (1,042) and attempted (1,326), and fouls drawn (1,443). He also ranks second all-time in scoring (3,970), behind Navarro; third in PIR (3,787), behind Navarro and Dimitris Diamantidis; and third also three-point shots made (446), behind Navarro and Milos Teodosic. 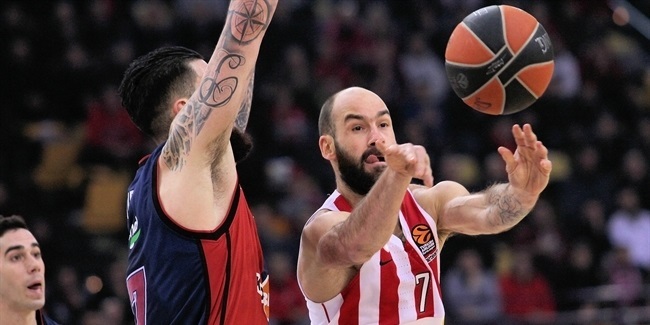 Spanoulis is a three-time EuroLeague champion – in 2009, 2012 and 2013 – having been voted Final Four MVP on all three occasions. He has been chosen to the All-EuroLeague teams eight times - three times on the first team and five on the second – an all-time record.